Here I am charging a 6V 4.5Ah lead acid battery by using a 8V-10V LM317 input supply for the circuit. I'm using the BD139 transistor to cut off and a 6.8V zener diode. As the battery voltage reaches a specific value, the zener will [when battery voltage is more]1 conduct and the base current doesn't flow, according to the simulation, but, practically, the base current dosen't become zero and the battery current is still flowing. Am I not understanding this correctly, or are there any modifications required? I have used a pot to adjust the cut off voltage, placed in series with the zener diode. 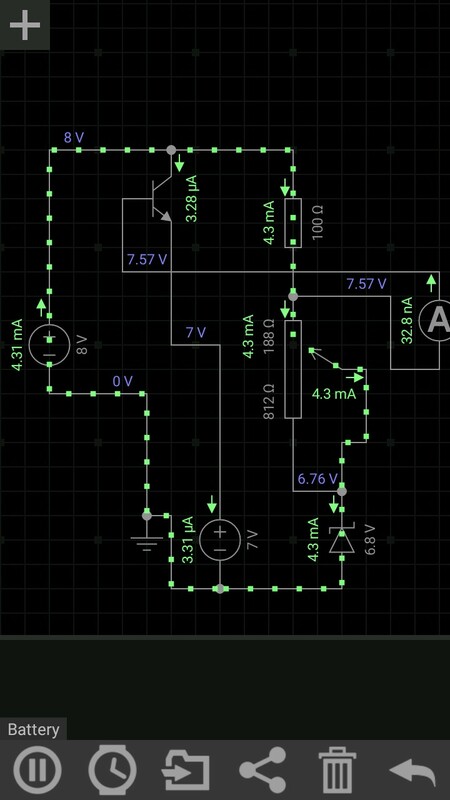 Why does the battery current not become zero, even though the zener is ON? 6.8V on the base of the transistor. Ube @ very small Ib = about 0.6V, so your minimum battery voltage is 6.2V. During float charge, the cell Voltage is about 2.25V, so 3*2.25V = 6.75V for your battery. 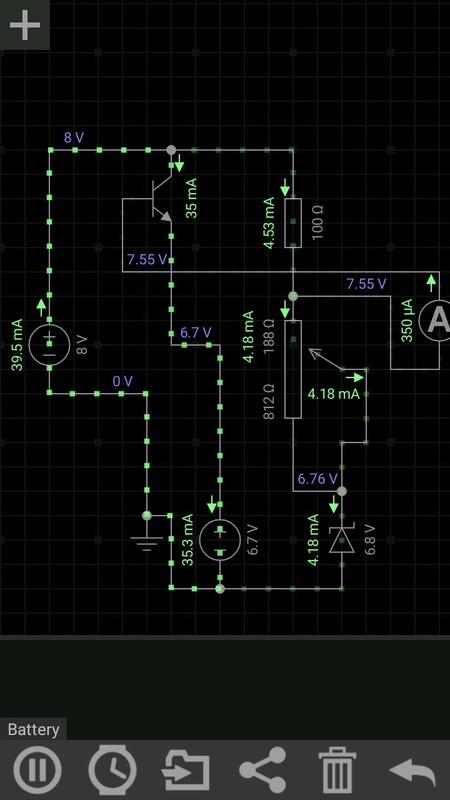 That's higher than the minimum 6.2V of your schematic, so the current should indeed go near 0 if you give it enough time. (Never completely 0, as you keep float-charging your battery). Maybe you wired something incorrectly? Did you check the B, C and E of the transistor? You are charging the battery incorrectly. Take a look at the battery university website how you should charge a lead-acid battery. If you use this method, the life span of your battery will be limited. If your battery is near empty, it's voltage will be very low, and you will burn out your transistor (even with infinite heatsink it can only take about 10W max. @Ta=50C and 1.5A), or your power supply. If you put your potentiometer all the way up (1k), your battery voltage will be 7.3V. That gives you a max. cell voltage of 2.43V, and you will over charge your battery until it boils, and destroy it in the process. Possibly there is also a danger of explosion, as the gasses from the battery are explosive. So sorry, but I wouldn't reccommend building this schematic in a real-world scenario. Not the answer you're looking for? Browse other questions tagged transistors battery-charging battery-operated zener lead-acid or ask your own question.